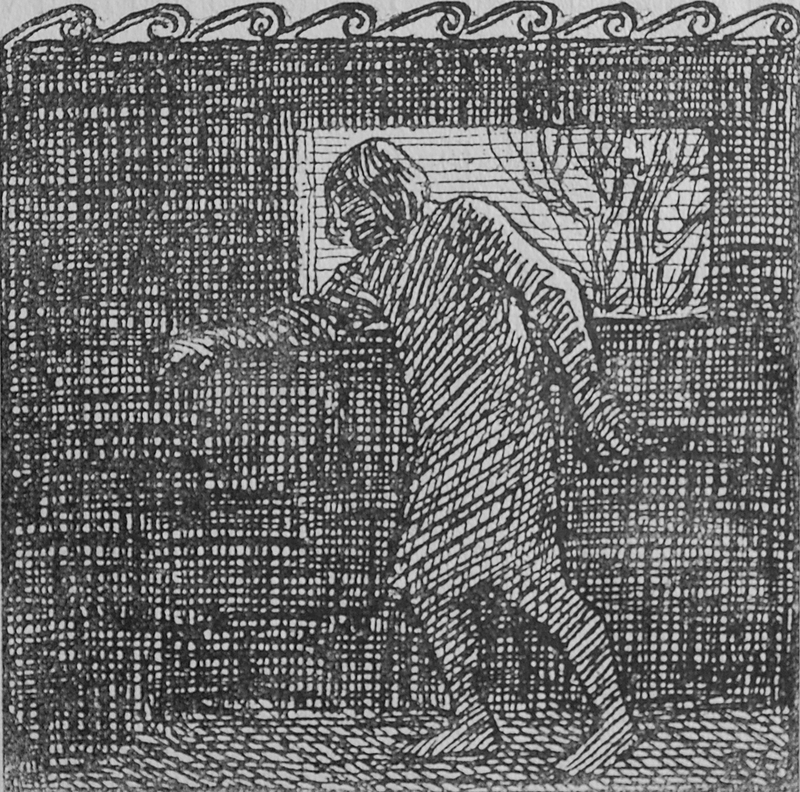 Description: This illustration of King Fjölnir, stumbling in the dark before falling to his death in a vat of mead, is from Ynglingesoga, the first saga in Kongesagaer, in Gustav Storm 's Norwegian translation of Snorri Sturluson's Heimskringla. It replaces a far more dramatic rendering of the event in the first edition. P.A. Baer purchased this copy of Kongesagaer from AbeBooks.com in 2007. A king in Ynglinga Saga, the first saga in Heimskringla, who died after a bout of drinking when he stumbled and fell into a large vat of mead in the middle of the night.